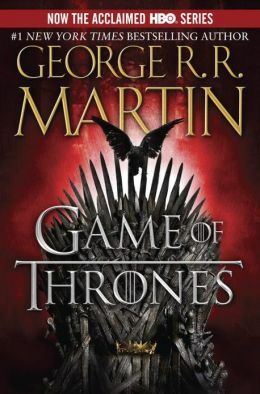 So, I don’t normally read fantasy, but… I picked up a copy of this first book in the series A Song of Ice and Fire a few months ago when I was browsing in a bookstore and read the first few pages, just to see what all the fuss was about. I immediately bought the mass market edition, hooked by the clarity of Martin’s writing and the vivid setting. And those characters! They just jumped off the page. I took the book with me on a trip down to the British Virgin Islands last month (we should have stayed there all winter, not just 10 days) and read it obsessively. So now I have the second book, A Clash of Kings, but I’m finding it hard to slot it in. I have a pile of library books, a bunch of books on my kindle, and some books on my nook, as well as a pile of unread books on my office bookshelves that I’m determined to read, but not just now. Starks and Lannisters await my return and I’m worried about Theon, up north at the Wall. This entry was posted in Fantasy, Fiction. Bookmark the permalink.